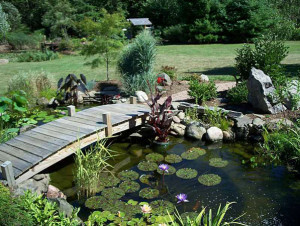 Backyard ponds should start with the pond consultation with a licensed, well trained and experienced pond building professional. 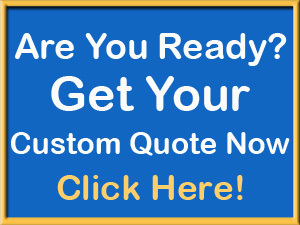 At Pacific Pond and design we what to hear from you even if you just need to ask questions. If you don’t do it right the first time it may never be right. A Koi pond, water garden or fish pond should be a fun, stress relieving cornerstone in your landscape. With a good sunny location and a well-planned pond design you can soon have a special spot for your friends and family to gather and enjoy. 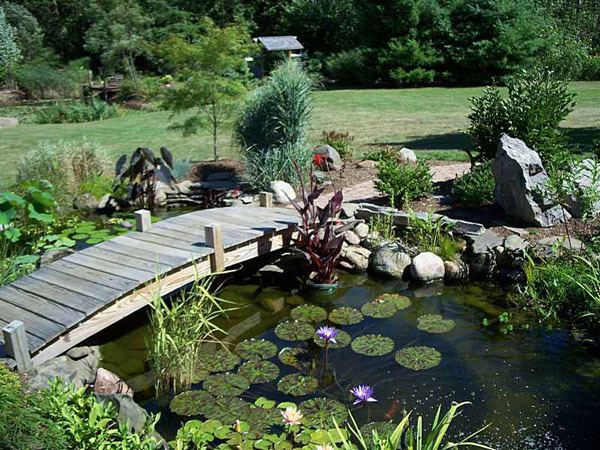 This Koi pond has a simple bridge to bring the garden in and through the pond. This gives it a custom pond look as if it has always been there. There is plenty of room for all of your favorite aquatic plants. Creative edges around the perimeter of a backyard pond can be achieved by adding short shelves at about 12”. Bog plants can be added for a natural pond edge or in this case we used granite rocks as well. Pond plants like water lilies do best in water depths of 2 or 3 feet. For many Koi ponds it is recommended to have deep water and superior pond pumps and pond filtration.